New technologies and new patterns are emerging on a daily basis. Coding for the front end is extremely demanding, but at the same time more interesting and challenging than ever before. This highly dynamic ecosystem provides huge possibilities to create awesome webpages. Angular 2 is at the forefront of this ecosystem. Angular 2 is a technical and conceptual overhaul of its hugely popular predecessor, AngularJS. Keeping your skills relevant and up-to-date will do you a world of good; get started with this comprehensive introduction to Google’s popular community project. The goal of this Learning Path is to help you efficiently plan a migration from AngularJS to Angular 2. We will also teach you how to complement Angular 2 development with TypeScript and build a hybrid employing the best of Angular 2 with Ionic 2. This Learning Path is authored by some of the best in their fields. David Sherret is a software developer in the healthcare industry. Within that, he leads several projects including one that supports the logistics behind specialty pharmaceuticals and maintains a patented technology for reducing health insurance fraud. You can find him answering questions on the TypeScript tag on Stack Overflow. Alain Chautard started using Angular in 2011, back when it was a very young technology and wasn’t widely used yet. 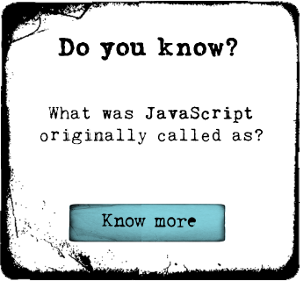 He has used AngularJS on a daily basis since then. He also teaches AngularJS in California, where he is the organizer (and main speaker) of an AngularJS meetup group. Alain is an expert AngularJS consultant at Interstate 21, where he develops beautiful web applications for clients located all over the world. He organizes a software craftsmanship meetup, contributes to open source projects, does technical book reviews, tweets at @juristr, and writes technical articles on DZone or his blog. Mathieu Chauvinc is a Managing Director at Red Ape Solutions, where he aspires to keep the company at the bleeding edge of web technologies. On a daily basis, he leads the tech team of 15 and collaborates with them in building complex single page applications and neat hybrid mobile apps. He has been involved in web technologies for over a decade, from Django to Node.js and Go, SQL to NoSQL, Mootools to Angular 2, continuously trying to keep the right balance between the excitement of new frameworks and the stability of proven ones. He always has a special place in his heart for Python and Django. Despite an engineering background, he has always had a passion for knowledge sharing, which has followed him until today, and he regularly conducts corporate or free training sessions on various IT topics in his country of residence, Malaysia.